New web design based on brand guidelines. HYPOXI is a low-impact exercise method that is up to 3 x more effective at burning stubborn fat than traditional exercise and it significantly reduces cellulite. Through the advanced vacuum and compression technology and healthy nutrition, HYPOXI activates your body’s natural system to burn specific areas of fat and cellulite. 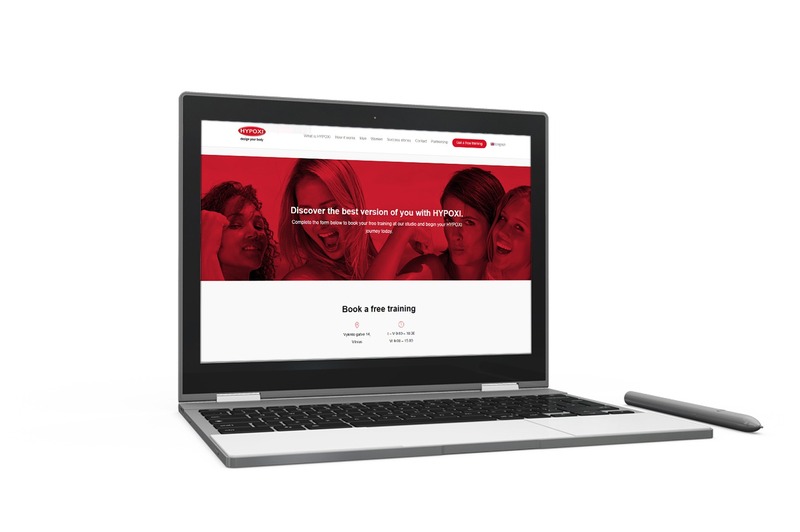 HYPOXI new website was developed and designed in accordance with the international HYPOXI brand guidelines. We took inspiration from other franchise sites (Finland, Australia etc) and gave a Baltic look to it. We’re excited to move forward with digital marketing strategies and build up profitable sales funnels to help HYPOXI Baltic franchise grow.